I put some new shoes on the Autozilla today. It is an orange ND silicone strap with the original markings Citizen diving watches used to have on their straps. I also swapped the band retainer and the clasp out to the Citizen Ti OEM ones off the dive extension strap. IMHO they look much better than the orange retainers and the SS clasp. I had to get special strap adapters as this watch has its straps screwed onto the back, these are brushed Ti too. This now a much more comfortable watch to wear. Perhaps my most often worn watch. Same one that I wear everyday and have worn for years. Dependable and does the things I need a watch to do. All right! Love the new watches section! 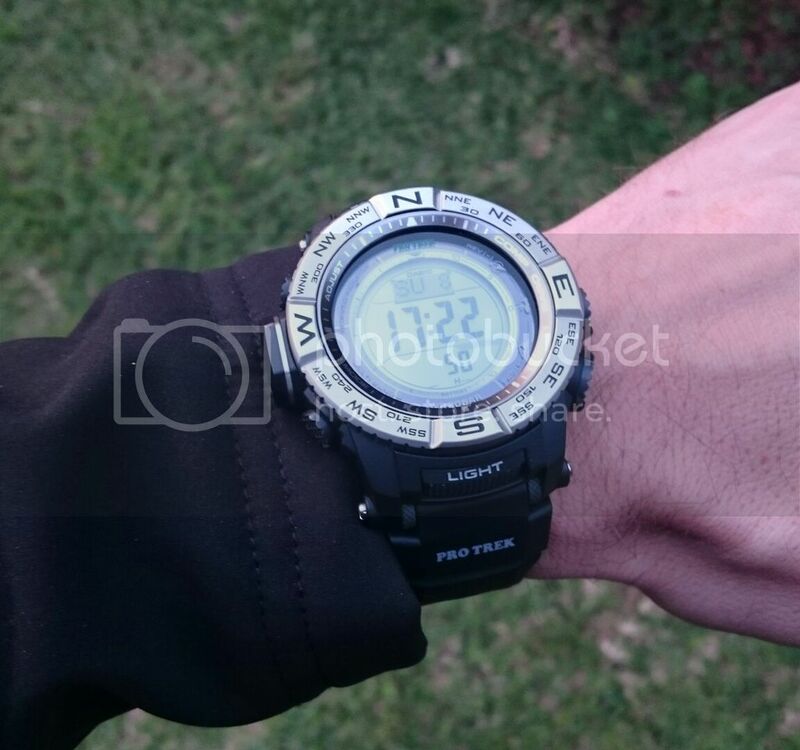 This week I'm wearing a Timex Expedition. Cheap, but durable enough for me. I've had this for almost a year, it's been my go-to watch for morning walks because it's lightweight and the band is super comfortable. Fits my skinny wrists pretty good. It also keeps excellent time, losing less than a second per month. My only complaint is that the crown doesn't have a separate "stop" for adjusting the date, so every other month you get to fast-forward through 24 hours to catch the date up. For a while I was just ignoring the date, but I recently put it back to where it ought to be. I should've just waited a few years until it was back on track. 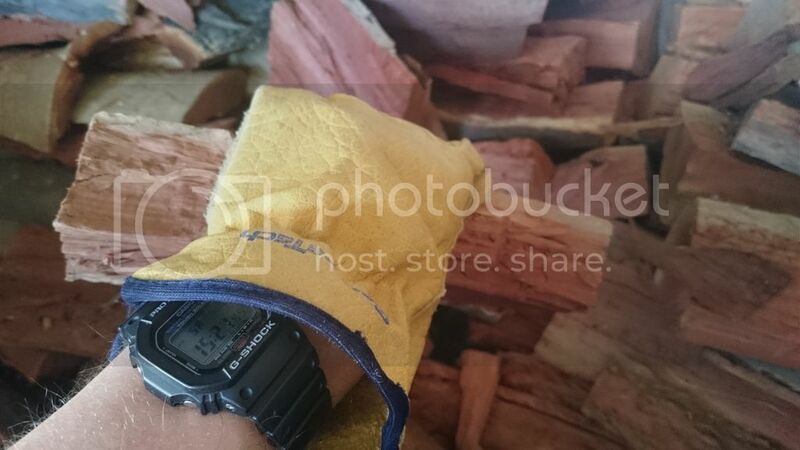 I bought this Eddie Bauer Wenger watch before I shipped out overseas in April 98. It's on its umpteenth wristband and "I have no idea" battery replacement. The indiglo just quit working and I tried a battery replacement but no luck. It's been beat to death, but I love it! I'm square today too. Pebble again here. I got my first ABC watch and Protrek earlier this week, a PRW-3500. I'm very chuffed with it so far. It will get a Zulu strap soon. Got the Orange Monster out tonight! Nice, I've been drooling over a Monster for years. For some reason I 've never pulled the trigger on one. I was the same way for years. Then this one came along at a price that was far too good to argue with. Hang in there, sooner or later you will get one for a good price. This also happened to me with the Casio GA100, except Megan talked me out of buying it so she could buy it for me! Watch free day for me but the kid wore her one. Nice! What had she got? 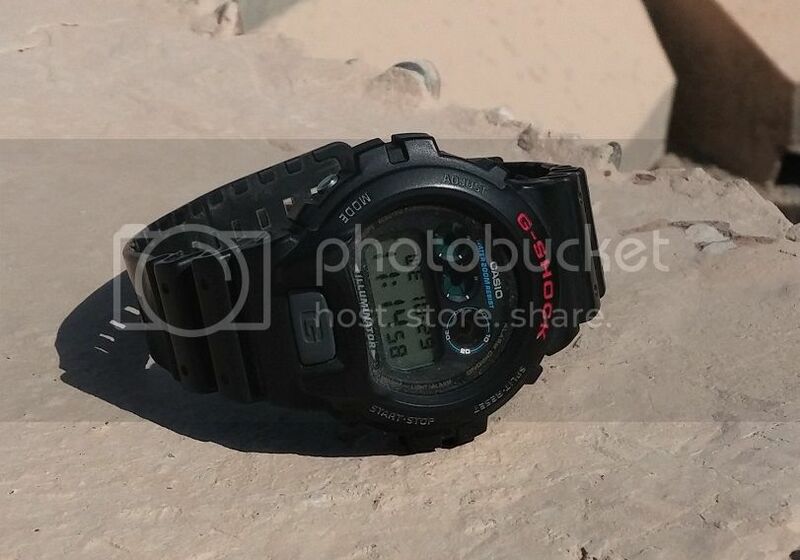 Casio W-S210 with a black case paint job done by lowtech. For a mod done as a "proof of concept" it´s holding up rather well.